The staff at Paso Robles Physical Therapy has over 100 years of combined experience in physical and occupational therapy. Their diverse background includes training in treating conditions as varied as sports injuries, strokes and neurological disorders, vestibular dysfunction, back and neck pain disorders, shoulder, hip, knee and ankle rehabilitation. Their training encompasses techniques including strength training, joint mobilization, soft tissue mobilization, ergonomics, balance and vestibular rehabilitation, and neuromuscular facilitation. Since the emphasis of treatment here is assessment of dysfunction, the one-on-one care is essential in accomplishing beneficial outcomes for our patients. Through ongoing post-graduate training, our staff stays at the cutting edge of our respective fields. We encourage you to meet them. Some details of their education, work training, and occupational history are below. 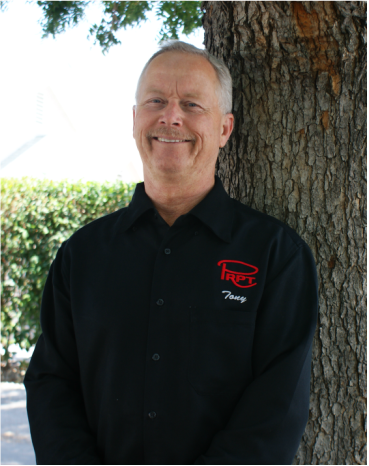 Tony Wallace, PT, owner and director of PRPT, was born and raised in Southern California. He graduated from Long Beach State with a degree in physical therapy in 1980. After starting his career at Hoag Hospital in Newport Beach, he decided to transplant to the California Central Coast in 1982. Bringing his wife and two boys, he settled in Atascadero and went to work at Twin Cities Hospital. He and Lisa added two more boys along the way and love living on the Central Coast. The boys are grown and now there are grandsons to enjoy! After directing another private PT office in Paso Robles for 13 years, he decided to strike out on his own. The result is Paso Robles Physical Therapy. Tony has had extensive experience in treating all manner of orthopedic difficulties over the years. "I love it all. Everyone is unique and every problem offers a unique challenge for recovery". Of particular interest is acute and recurrent back and neck pain conditions. Tony has stayed on the leading edge of out-patient rehabilitation through continuing education courses and journal reading as well as an ongoing dialogue with the staff of PRPT. The environment in the clinic is fun and challenging. "I think of PRPT as a family. We love working together." Wendy graduated from CSU Northridge with her MPT in 2001. She worked at an outpatient orthopedic setting for over one year after graduation in addition to acute and subacute hospital setting dealing with primarily neurological dysfunction. Wendy left this setting to work with children with special needs which included orthopedic, neurological and muscle disorders for children, adolescents and young adults aged 0-21 years of age. She has recently transitioned to PRPT to incorporate all her skills that she has developed through out her career to all age groups and diagnoses. Wendy is excited to be a part of the growth and changes that we are making at PRPT which include utilizing her expertise with children of all ages, myofacial release technique, NDT (neurodevelopmental technique), strength training utilizing traditional methods as well as TRX and functional skills training in the clinic and in the community. Wendy is the proud mother of 22 year old twins. She enjoys running, volleyball, kayaking, hiking, camping, dirt biking, boating and learning to paddle board as well as surf. Wendy also enjoys cooking, scrap booking, card making and other crafts when she has time. She also enjoys teaching strength training classes incorporating TRX, therapy ball, and Pilates mat to develop and enhance postural control for injury prevention. Emily grew up in Peoria, Arizona where her active lifestyle as a competitive gymnast, interest in the sciences, and passion for helping people improve their quality of life lead her to seek out a career in physical therapy. She received a Bachelor’s Degree from Northern Arizona University and continued her education at University of Southern California where she received her Doctor of Physical Therapy degree. Her training has been in neurological and orthopedic physical therapy with emphasis on a movement system approach when treating. Emily utilizes the latest research along with her understanding of biomechanics to give individualized, patient-centered care, in order to optimize movement and improve her patient’s quality of life. She is a member of the American Physical Therapy Association(APTA) as well as a member of the Orthopedic and Neurologic divisions of the APTA. Outside of the clinic, her interests include boating, wake boarding, hiking, and spending time with her dogs. 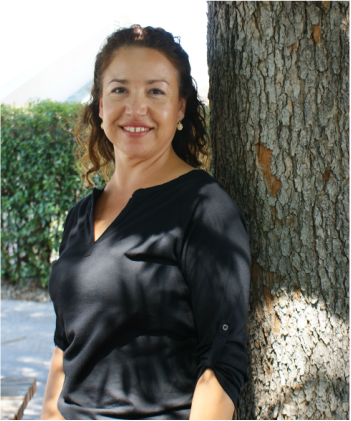 Brenda has worked in the field of Physical Therapy for the past 18 years. She received a Bachelor’s Degree of Physical Therapy from the University of Guadalajara, Mexico in 1992; as well as an A.S. Degree of Physical Therapy Assistant from Cerritos College in Norwalk, CA in 2000. She has dedicated the last 7 years towards working with children with special needs through Early Intervention with children 0-3 years old, as well as school based therapy from preschool to high school age kids. She is the mother of two boys age 9 and 5 years old. She also has experience in outpatient orthopedic/neurological rehab, aquatic therapy, inpatient acute/ ortho /neurological /cardiac rehab, and skill nursing facility for short/long term care. She has training and experience using sensory integration and sensory processing disorders, autism and asperger syndrome, hypotonia, functional strengthening and stretching techniques, balance and gait training, and lymphedema care. She is happy to be part of the team at PRPT! Julie Vogelpohl was born and raised in Nebraska. She served 10 years in the Navy, working in the Administrative Field. In addition, she brings to us 15 years working and volunteering in the medical field. She has a warm and caring personality. Scheduling and being an aide to all the physical therapist are only a few of her responsibilities. In her spare time Julie cherishes time with her amazing husband and 5 children, mountain biking, hiking, golfing, working out at the gym and crafts. She has been with PRPT since August 2012, she is a welcome addition to our front and back office team. Chelcy is PRPT's Operations Director. Chelcy received her Bachelors degree in Recreation, Parks, and Tourism Administration at Cal Poly with a concentration in Community Recreation and Non Profit Administration. Chelcy played competitive volleyball in college for Moorpark College and for the University of South Carolina Upstate. Chelcy has worked with children as a volunteer for California Children Services of Ventura County, managed a gym for kids, and coached volleyball. 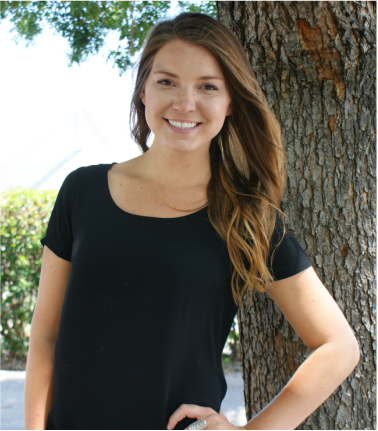 Currently, Chelcy not only manages PRPT but is also a personal trainer, nutrition coach, and yoga instructor. 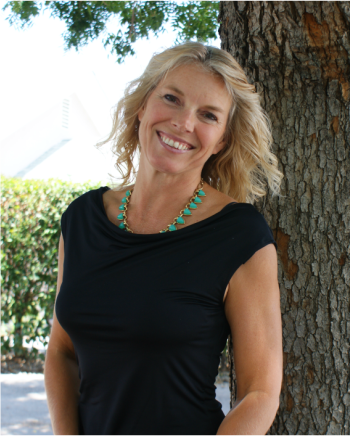 You may find her teaching yoga in local yoga studios and training clients at our Lake Nacimiento location. She loves spending time with her dogs, being near that water, and enjoying local wine and beer. ​Aimee Neto was born and raised in the Northern Central Valley and has lived on the Central Coast since August 2015. After her and her husband of 16 years had their two children & being a stay at home mom for 6 years she was eager to get back to work! She has years of customer service experience, loves to assist and put a smile on our patients faces. Her on the job training has taught her the skills to be a successful physical therapy aide to our front and back office and she loves being a part of PRPT! On her spare time she enjoys spending time with her family, watching her son & daughter in their extra curricular activities & going to the beach!